Aradhana George, 23, and her parents chalked out a budget when she went for her masters in marketing from Texas A&M University, US, in August 2016. They figured out that all expenses included, the 16-month program and stay would cost not more than ₹50 lakh. “This was for the full course. ₹30 lakh was financed by my parents, and for the rest, I took an education loan. But I wasn’t able to cover all my expenses,” said Aradhana, who is now a marketing analyst in a Dubai-based company. Most universities provide an estimated list of expenses for international students planning to study on their campus. Aradhana received these estimates too and planned her expenses accordingly. 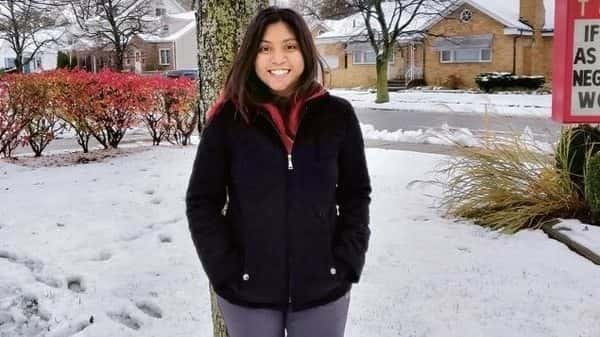 “The university estimated the accommodation to cost $600 a month but since Aradhana stayed off campus, she ended up spending $1,200 a month for a furnished flat, including the maintenance cost. Like this, a lot of expenses went overboard,” said her mother, Anita George. By the end of the course, Aradhana’s parents had paid up another₹20 lakh. According to data by the Reserve Bank of India (RBI), spending on tuition and accommodation by Indian students studying abroad spiked by 44% from $1.9 billion in 2013-14 to $2.8 billion in 2017-18 (read here). A report in a quarterly journal from the Boston College Center for International Higher Education shows that the number of Indian students studying abroad has increased to about 255,030 in 2016 from 55,444 in 1999. While numbers show that more Indians are pursuing education abroad, it is still a task to make a budget that accounts for all possible expenses. Here’s what you can do. Once you’ve zeroed down on the university, the next big step is to figure out how much money you’ll need. “Ideally, one should make an annual budget, including the sources of money such as family contributions, loans, financial aid or scholarships, and income that the student may generate through part-time jobs,” said Priya Sunder, director and co-founder, PeakAlpha Investment Services Pvt. Ltd. Once you have this in place, create a separate list of fixed expenses such as fees, accommodation, meal plan or food, health insurance, internet and phone bills, travel and personal care expenses. “What remains is the student’s discretionary spend. This money can either be used for planning local travel or vacations, entertainment, or eating out,” added Sunder. Pooja Umesh, age 22, is pursuing masters in computer science and engineering at University at Buffalo, New York. 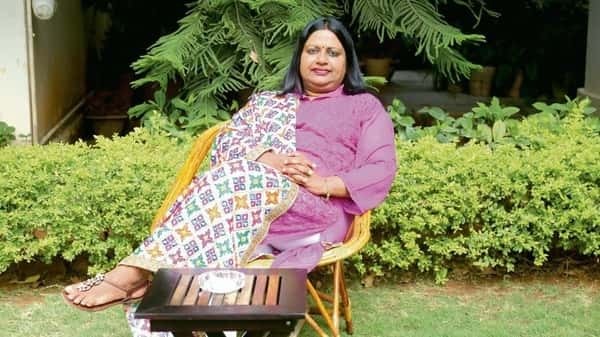 Aradhana said although a portion of her discretionary expenses were factored into the budget, she didn’t realise how much she would need for basic spending like going to the salon or eating out until she actually moved. “The cost of living is very expensive. It is only when you stay abroad you realise the costs and it is difficult to budget earlier,” said Aradhana. Her university has a huge campus with buses that ply frequently and the fares are included in the fees. “Students pick up courses depending on their sleep cycle and convenience. Aradhana picked evening courses because she liked sleeping in till late so it would get late in the night by the time her classes would end. We ended up buying a second-hand car for ₹7 lakh to ensure she got home safe at night,” said Anita. This wasn’t a cost they had foreseen. Most people tend to ignore rupee fluctuation while planning their education abroad. Between January 2014 and 2019, rupee depreciated 11.15% against the dollar. This is how it plays out. Suppose your tuition fee is $13,500 each year, you will have to pay ₹9,60,457 as on 28 January for 2019. Assuming the depreciation rate remains at 11.15% between 2019 and 2024, you will end up shelling out ₹10,67,889 for the same amount of annual fees at the end of 2024. “Currency fluctuation can affect your calculations. The Indian rupee is depreciating at a faster pace and this will affect your budget negatively. Unless you plan for this, you will fall short of the required amount,” said Melvin Joseph, Sebi-registered investment adviser and founder, Finvin Financial Planners. Umesh has taken up an on-campus job that pays her $11.10 an hour which is helping her cover living expenses such as groceries and utility bills. However, her craving for desi food often lands her in Indian grocery stores where products are quite expensive when compared to a Walmart. “There’s $1-2 difference in vegetables, $4 difference in dry fruits and Indian brands like Haldirams and MTR you don’t find in Walmart. You have to buy these from Indian stores which are relatively expensive,” said Umesh. To make sure she lives within her means, Umesh avoids eating out as much as possible. “Eating out is an expensive affair here,” she added. When you’re stepping out of home, the idea of boarding and a meal plan may sound fancy but by the end of the first semester, it could become a boring routine. Take into account the costs you will have to bear in case you plan to move off campus. Personal grooming is yet another aspect to budget for. Salons and spas are expensive abroad and if you’re dependent on such services, it’s important you include that in your budget. Movie tickets are expensive too, so don’t forget the Netflix and Spotify subscriptions. Budgeting is important but you can never be accurate. Since Aradhana had studied computer science in her under-graduation, she was asked to take up three additional courses as prerequisites for her masters in business and marketing after she moved to Texas. “This was something we hadn’t thought about. The university also didn’t mention this until Aradhana moved there. It was unexpected so we had to shell out more for these courses too,” said Anita. There could be other unforeseen yet unavoidable expenses too. “Many incidental expenses will not be included in the university brochure. Local travelling expenses, travel cost to India, travel cost for parents to attend children’s convocation etc. are some of them,” said Joseph. Also, it’s not always easy to find an internship in the same city. What if you need to move to another city? For her consultancy project every semester, Aradhana had to travel at least twice every month to Austin or Houston which is about 200 miles from the university. Her car came in handy as cabs are expensive and she was not used to travelling in buses. Joseph said expenses for at least one semester should be kept aside as surplus. It is a good idea to speak to someone who has studied at the university you’re planning to go to and understand the expenses that you may otherwise overlook.